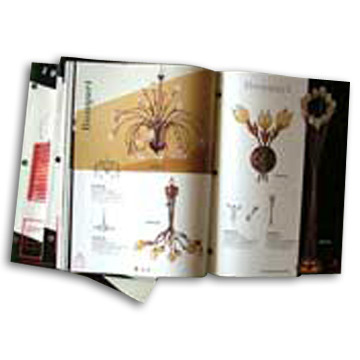 An impressive catalog is what fetches the attention of the potential customers to your products and services. Choosing the best catalog printing company may turn out to be a tedious job and frustrating experience for you. Many a company will dangle the offer of cheap service to get you trapped. It is the quality of printing that should matter the most to you. So, always approach a printing company of repute even if it adds to your printing budget. You obviously want your catalog to be a distinct marketing tool that will stand apart from the crowd of the others. So, design must be refreshing to steal the show as many are pumped into the market almost day in and day out. In case you do not have any expert and experienced graphic designer in your office, a reputed printing company can be entrusted with the responsibility of catalog designing. You have to fork out extra bulks but it will help you out of tension. You want to create a positive impact on the prospective buyers through your catalog. So, maintaining quality of printing is as important as its perfect designing. Do not opt for the cheapest service as the cheap charge often does not go hand in hand with the top most quality. It will be a complete waste of your precious time and money. You will not be rewarded with any overwhelming response and have to rue your decision in future. Build up a strong bond with the printing company. Treat it as your partner as its service will not only come handy in times of catalog printing but also in case of catalog designing too. The company is tasked to ensure that you get closer to your goal of expanding your customer base. So, hire the service of reliable and reputed printing service provider and convert the one-time commitment into a long-time association on strength of mutual understanding. Make sure to have quotes from at least five printing houses. Compare the features and also the cost criteria. The facilities on offer must fit your requirements and cost of printing must be affordable. Reducing the chunk of initial investment on catalog printing is not a tough task at all. Following some useful guidelines is what helps you accomplish a low-cost catalog printing job. Make sure not to compromise with quality as it will adversely affect your product promotion instead of giving a boost to it. Making adjustment on your paper stock is an effective but easy solution of saving money on the printing project. The exterior appearance of a catalog must be eye-candy to the onlookers as it will drive their attention to your offers. So you can use the glossy and thick paper of superior quality for the cover page while sticking to the normal types for the inner pages. The huge sum showered for maintain outside impact of your catalog will get compensated by the paltry amount spent on the inner page printing. Generally the businessmen order for printing a lot of catalogs at a time. If you too do that, do not hesitate to ask for the discount price. Many printing houses offer attractive discount rates as they also save a great deal of money by fulfilling the large scale orders. So, placing an order for bulk printing is profitable for you as you can bargain with the printing office to avail the low printing rate. If you have a high-end printer installed in your office, then there is no need to approach an outhouse printing house to get the job done. You may consider of doing the task by yourself. This is an ideal way of chopping down the printing cost. You just have to make investment for the ink and paper. Just put into extra bit of effort and take meticulous care, you will come up with an amazing outcome. The cost-effective distribution technique is a suitable suggestion for cheap catalog printing. Sending catalog by post means you have to bear the charges for stamps and envelops. You may hire some dedicated staffs to rap on the doors of your neighbors and also the others in the distant locality. These catalogs can also be left in the public places such as library, café, trains etc. for the public attention. This will be an effective way of publicizing your products and you can save a significant amount on the postal or distribution costs. Minimizing the cost is an effective solution to maximize the profit if you are not in favor of hiking the price of your product. As the cost of catalog printing is included in the total cost of production, so adopting the cost-effective strategies of catalog printing will help you in reducing the volume of cost to some considerable extent. But make sure, you are not making any compromise with the quality of the catalog while making cost reduction. The catalog presents the images of the products on offer along with their brief but informative descriptions. If you are really serious about saving money, then be responsible enough to carry the workload yourself instead of hiring someone to get the work done. The same strategy applies to the photography too. Do not engage a professional photographer. The person will demand for the high service charge. With the advantageous features-packed digital cameras, it will not be a tough task to do it all by yourself. Just brush up your knowledge and save a significant amount on your printing budget. Making a catalog layout will be easier and cheaper too if you use a template. Just search the net and you will have enough of the design blogs. Download them at free of cost. You just have to put the necessary images and texts in the proper place. Doing a little bit of research on the online printing services help you avail the best deal. Online printing service providers generally offer the competitive charges to fit everyone’s pocket. Ask your friends and relatives if they have any experience in the catalog printing. They may suggest some tips about cutting down the catalog printing cost. As they have prior experiences, so following their recommendations will help you fulfill your objectives. The sellers are more in the habit of using the color images on the cover as well as in the inner pages. You can save money by using the black and white images in the inner pages while keeping color cover as it is to attract the customers. Marketing is as instrumental as maintaining high quality of merchandises to popularize the name of your brand. A precise and proper marketing strategy allures the customers to the products on offer and gets them hooked forever. Among an array of marketing devices, catalog requires a special mention. It gives voice to your thought and materializes your ambition of building a business empire. It is the consummate blend of the out-of-the-package approach and refined artistic sense that steals the show with the customers. Designing a catalog is not a child’s play. It requires a high bent of creativity. You aim at seeking the attention of the viewers with your catalog. So many catalogs are spilling out on the market every day but you want yours to stand apart from the others. So what are the must-have qualities to make a catalog compelling in the eyes of the potential buyers? Well, let us have a quick glance over them. A catalog is a medium of manifestation of your objectives. Evaluating the much cherished and nourished target is the primary step prior to conceiving a catchy catalog design. If it is the visual appeal that makes the viewers to eye over a catalog then it is the informative details that make them go through it with rapt attention. A catalog must ooze an aesthetic appeal to grab the eyeballs of the customers and provide the sufficient information to satiate their needs. The buyers will get to know about your products and services through your catalog. It means that content should be of superlative quality to convey the illustrative details. The language should be kept simple for easy comprehension by all and sundry. Consistency in look must be maintained otherwise a hodge-podge in appearance will mar the entire show and spoil your effort to hit the jackpot. A consistent layout is obviously not synonymous with the boring design. In fact a tinge of variety is what spices up the style and lends an engaging look to a catalog. Contrast is really important to let the customers have a refreshing feel. An image is considered the right alternative to thousand words. They need to be properly placed adding to the appeal to the design and not popping up as obstacles to the easy flow of the textual content. It is a long ride for any prestigious business hub to climb up to a dominant position in the age of dog-eat-dog competition. It is beyond doubt that the owners of these famous enterprises are determined and diligent enough to color their dreams. But that is not enough. They have adopted the right marketing strategy to claim the lion’s share of the market. What will be the most effective tool other than a distinctly stylish catalog to get closer to the goal of maximum profitability? A catalog can be a magic wand to push up your sales figure, maximize return on investment and expand your business. What you need the most is a precise design and high quality printing to fulfill your professional target. In the field of business, every aspect should reflect an aura of professionalism. So, when it comes to stylizing the existing catalog with an innovative approach, a little bit of market research is always prescribed to measure the effectiveness of this printed ad tool or you have to be prepared to experience the bitter consequences. Showcasing products and services by dint of a suitable catalog is not a modern day concept but the conceptualization of the modern themes and top-notch quality printing service add to its appeal. You can extend your business empire by effectively using a catalog as a means of promoting your products to the customers in the far-flung geographic regions. The top-tier companies use the catalogs as the launch pads for their new products, confirm the customers about the upcoming sales and lucrative offers of seasonal discounts. Keeping pace with the time is what keeps the company on the wheels of progress. Therefore, redesigning of a catalog is a necessity to keep the brand name alive in the minds of the buyers. Many a company makes substantial investment and puts into significant effort for the purpose of redesigning. But all of them do not earn success. Some experience thunderous applause while the others savor tremendous apathy from the customers. So, scrupulous care must be adopted while changing the looks of the catalogs. After all, as a proper medium of communication with the customers, it always requires a special attention on your part. 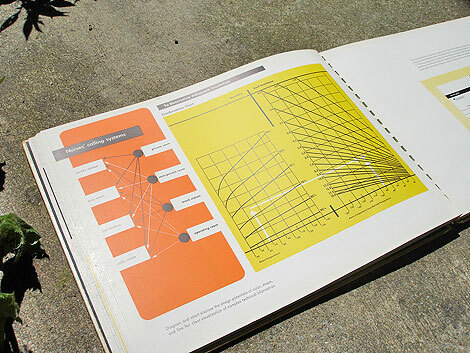 A product catalog stands out from the others on strength of its appearance. In fact, it is the look of a catalog that compels the consumers to buy the products and thereby pushing up the profit margin of the businessmen. As the right blend of several ingredients cooks up a scrumptious dish, a variety of components equally play an important role in designing an eye-catching layout of a catalog. The consummation of colors is vital to the good look of a catalog. If the look of a catalog matters no less than the quality of the products to catch the attention of the buyers, scrupulous care should be adopted to choose the perfect color scheme. The color combination should be such that it offers enough readability and adds to the visual appeal of the catalog. The color application should be in the perfect sync with the other elements of the catalog design. The designers should abstain from playing with riot of colors as it will ultimately spoil the look of the item. Moreover, simple attitude and minimalistic approach often convey the message of sophistication. Your catalog is an item to advertise your merchandises and not project itself to the onlookers. So the design and color should be such that to bowl over the customers but not to overstuff the catalog itself . Follow the rule of consistency throughout the pages and use different colors for different font sizes to arrest the attention of the onlookers. A catalog is a medium to let the customers go through the gallery of items with the necessary informative details. Everything from the compositions to price tags of the products must be provided in the catalog. The products must be categorized under the suitable heads so that the customers do not have to comb the entire catalog to find out their choicest items. It is the best idea to highlight the names and prime points of the products in the suitable and contrast color format. The designers must have good hang of the color theory to mix and match a plethora of colors out of the color palette. Special care is to be taken while designing the cover of a catalog. Apart from applying the right combination of colors, you must take care of adding special effects to make it dazzle amidst the ordinary items. The layout of your catalog is doing a fine a job and fit to catch the attention of the prospective buyers. As far as you are complacent with the influx of cash into your coffer, you will not give a thought to change its design. You will laugh away the gratuitous suggestions and blow away the innovative ideas as you are quite unsure if the new one will do the same favor to your business. It is not right for anybody to set your doubt at naught but it is also wrong for you to defy the new concepts. The businessmen are always profit-oriented and they dream to expand their reach. Invention of the new strategy in keeping with the pace of time is the key to the growth of a business. Catalog, considered as an effective marketing tool for the promotion of the products needs to be updated and innovated on timely basis to keep the attention of the buyers glued on to your merchandises. Choice of the images plays a vital role in catalog designing though it is not the lone component. Each part ranging from the shape and size of a catalog to the font color and style should be lent equal attention to design a cutting-age and eye-catching layout. The rectangular shape is the most common but you can try out the other ones too. You can add wings to your flying and fiery imagination by getting the catalog printer machine put holes in the appropriate places to lend it more attractive look. Uniqueness is the buzz word in every sphere to stand tall among the mediocre. The ideas need to be original to grab the eyeballs of the onlookers. The dimension is a vital aspect of catalog designing. You are almost free to experiment with any type of dimension for catalog. You may go for the thin looking catalog or choose the wide one or any other types in between. Whatever design you have chosen, make sure that the spaces of the catalogs are optimally used. The contrasting colors and vibrant images easily steal the show. An uncluttered finish with enough space between the words and sentences makes a catalog fascinating in the eyes of the customers. Added to the elegance of the uncommon shape and unusual dimension are the perfect binding and texture of the cover. A stunning looking cover with stark but stunning color contrast and out-of-the-box cover design leaves a lasting impression upon the buyers who will feel interested to go through the inner pages. Even in the age of online marketing, printed catalog is a convenient and popular tool for merchandising. It is a medium of showcasing one’s products and services on sale and letting the consumers be fully aware of the range, rates and descriptions of the offers. A perfectly and professionally designed catalog makes a lasting impression upon the buyers and ensures propelling up the sales figure. Without sense for style, eye for beauty and flair for description, it is hardly possible to design a stunningly beautiful catalog and woo the hearts of the would-be customers. Designing a catalog requires taking a variety of aspects into account. There should be consistency in the format of the catalog. First and foremost, a suitably designed catalog always steals the show with its elegantly simple and shipshape look. It must provide the informative details of the products but should not be cluttered with any unnecessary information. Each of the design elements should complement the other and ultimately caters to the needs of the customers and objectives of the dealer. The size and style of the typeface are the primary elements of a catalog. Space should be maintained between the words and lines to offer enough readability to the readers. The color factor is another consideration. The right combination of colors makes the catalog appealing. Using too many colors in the same catalog is a bad idea as it mars the appeal of the design and ultimately, contributes nothing to the prosperity of the business. None of the applied colors should be dull and each should be vibrant enough to catch the attention of the consumers. Description of every product should be associated with a proper image. Do not get into the habit of grouping all the products in the same image as it will look clumsy. Experiment a little if the products look stunning in the backdrop of sceneries or with the other products. Sometimes the no background idea works wonder to drive up the sale of the products. Be inventive to add soft glow to the images or add shadow to the headlines. Make sure to contact a reliable catalog printing company that takes high care and use high-tech machine to make your catalog stand out amidst several others. You are currently browsing the archives for the Catalog category.